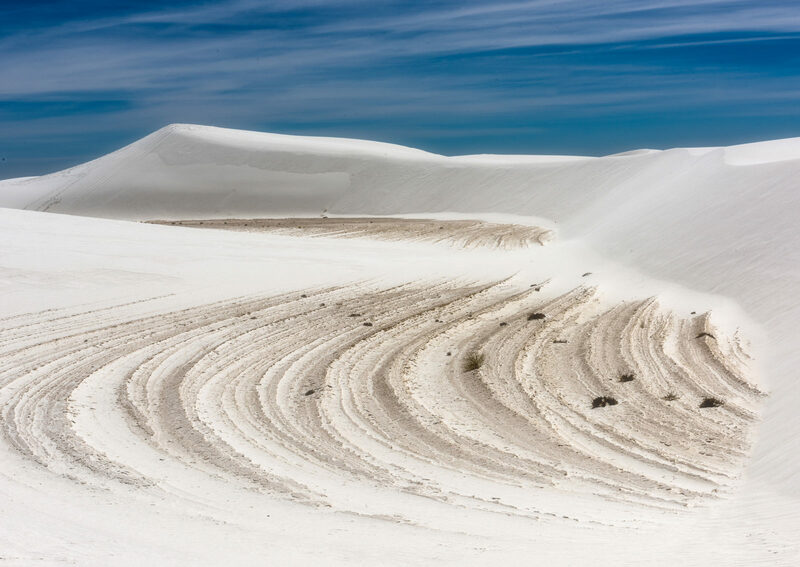 This is an afternoon shot out at White Sands National Monument. I pushed the contrast on this image. I love the curves and undulations accented by the wispy clouds. The scene just grabbed my attention.